The Fairfield County Courthouse, located in Winnsboro, was designed by Robert Mills, famous architect of the Washington Monument. It was built between 1822 and 1823, and the distinctive circular steps and piazza were added during a 1939 remodel. The imported English brick exterior was also covered with a sandstone plaster during the remodeling. 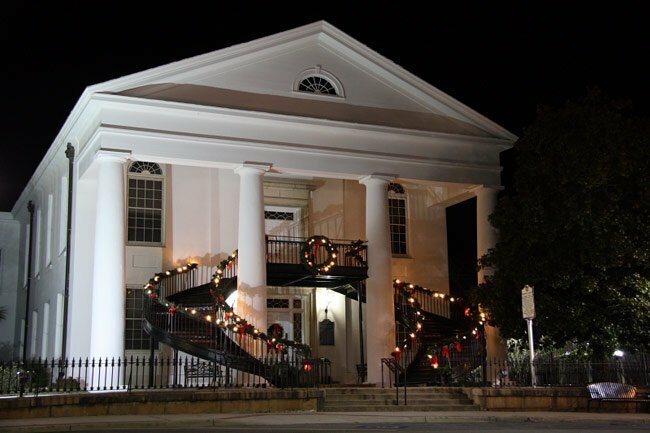 Winnsboro is significant historically, architecturally, and culturally. 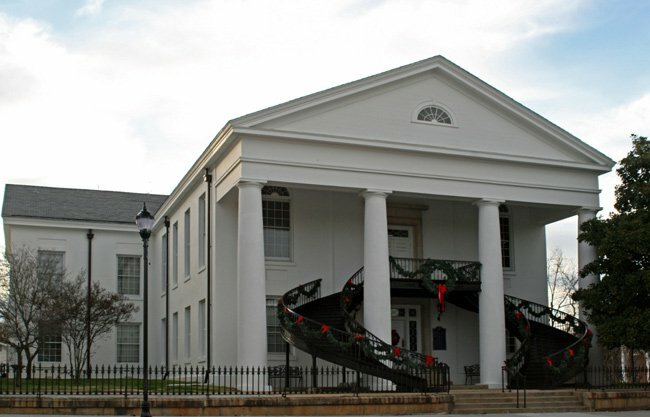 The town was laid out in 1785 and named for the Revolutionary War hero, Richard Winn, who served in the U.S. Congress and as SC Lieutenant Governor. Lord Cornwallis had his headquarters here in 1780. 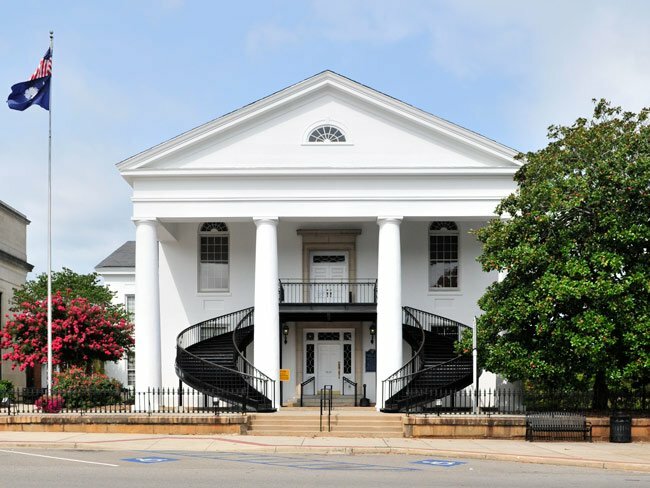 Winnsboro, the county seat, features a wide range of architectural significance, from early simple frame houses that reflect utilitarian aspects of the Scotch-Irish, the first principal settlers, to pronounced styles such as Federal and Greek Revival. There are more than 50 buildings over 100 years old, mostly residences but also including the Courthouse and the town clock. Many residences are typical upcountry frame houses, built in an L-shape with long piazzas running across the front, reflecting the increasing wealth from cotton. Homes became more pretentious in the 1840s and 1850s. Much lowcountry influence is evident in the architecture, after planters moved here for health reasons. A number of Greek Revival and Federal mansions remain.